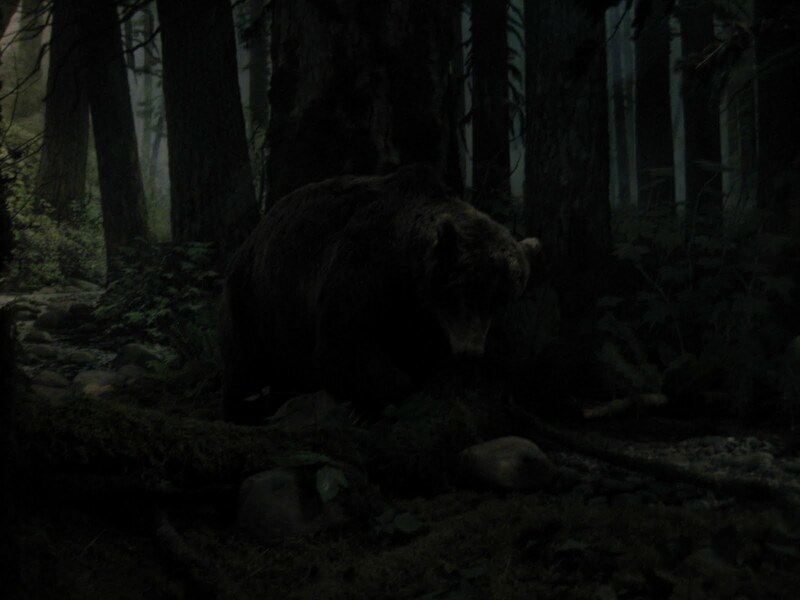 It was pretty dark, but I got him on camera, yeah. From Hornby Island it was a 3 days trip to Victoria, the capital of British Columbia, where I'm taking a day off. As it gets dark at half past 8 pm, I start early to use the daylight of the morning hours. I wanted to cycle to Nanaimo today, to have a shorter ride the next day, and stopped at a Visitors Center on the way to find out if the hostel there had vacancies. The people of the tourist information were extremly generous and I could use their internet and phone to find out what I needed (imagine this in Germany: 'Also nein, wo kaemen wir denn da hin wenn hier jeder das Internet benutzen wuerde' 'Wir sind doch keine Telefonzentrale' etc.). In this respect, it's like in Norway, a lot of these small gestures are no problem at all. Anyway, there was no vacant bed in Nanaimo's hostel. 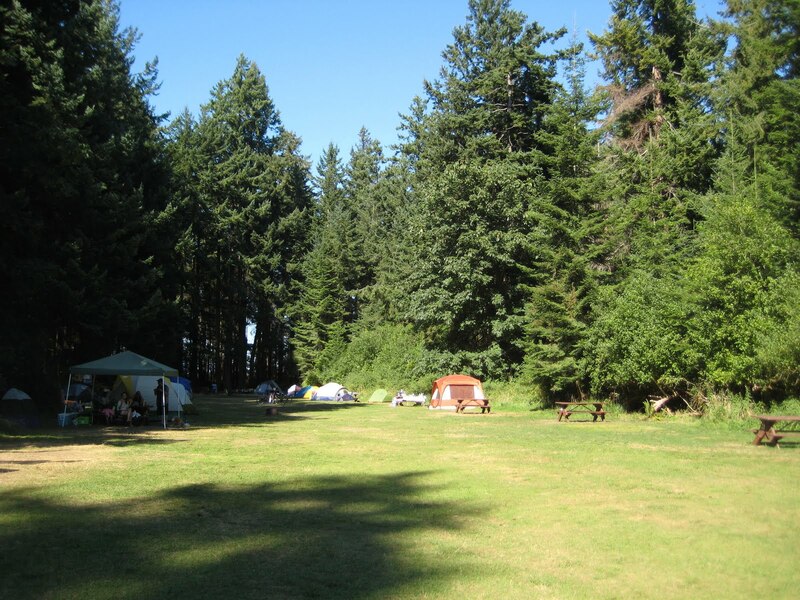 But the alternative was not bad either, I arrived at Rathtrevor Provincial Park campground in the early afternoon and got one of the 10 walk-in sites that don't require reservation. The campsite was pretty busy. Cycled 70 km and had the rest of the afternoon for drying clothes and relaxing. The next day was horrible. I knew from my book 'Cycling the Pacific Coast' (which is a great help) that a 4 lane highway is waiting for me. Due to the very wide shoulder it was not even dangerous and I had enough space, but still, it was kind of stressful. Loud trucks and very loud motorcycles passing, the sun burning. I was glad to reach the ferry to the idyllic Salt Spring Island, where I camped at Ruckle Provincial Park. Had to climb some nasty hills on the last kilometers. The Park has 80 walk-in sites and was completely full! It didn't seem crowded though, because the area was large. Cycled 105 km. The next day was great. After yesterdays highway and hills, a beautiful bike path led the way to Victoria, after a scenic ferry ride from Salt Spring Island back to Vancouver Island. No hills and no cars passing! Cycled relaxing 45 km and took another day to explore the city. bin drauf reingefallen :) aber gut dass du in sicherheit bist!! Ich bin auch drauf reingefallen, da sieht man erst das Foto und denkt sich "Oh weh die Andrea steht einen Meter vor dem Bäääären!!" und dann am Ende die Auflösung :) Coole Sache deine Tour. Bist du noch fit oder ist es schon anstrengend? 105 km klingen unendlich weeeit!